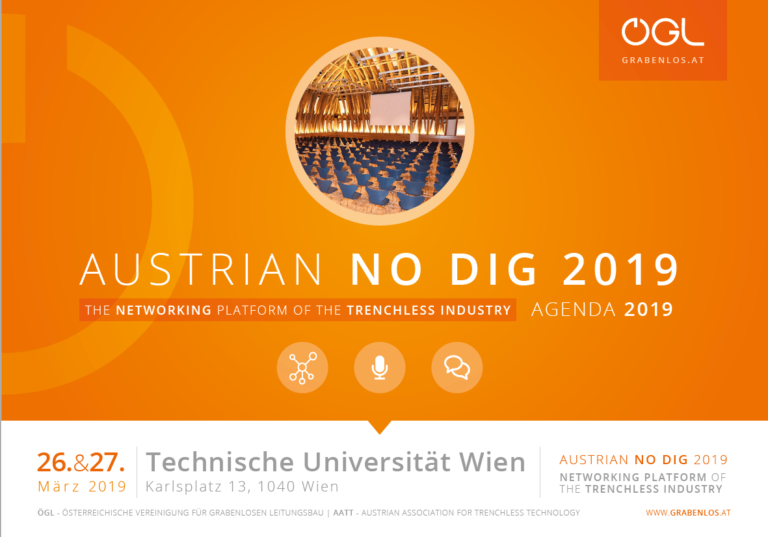 This and many other interesting aspects will be illuminated by the Trenchless Symposium on 26th and 27th March 2019 at the Vienna University of Technology. 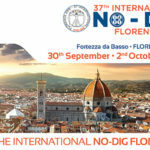 Representatives of the Federal Ministry of Transport, Innovation and Technology and also the President of the Association of Municipalities will participate to the event. You have the opportunity to discuss planned projects and innovative design options with decision-makers. With the special ticket for municipalities , even small municipalities and municipal enterprises can train their employees for an unrivaled low price of EUR 65 for one day. You are especially interested in the panel discussion with Gerald Goger, Peter Lux, Andreas Reichhardt and Alfred Riedl – we have prepared the right ticket for you. 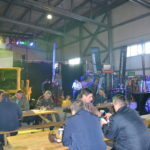 Registration for the Trenchless Symposium – Austrian No Dig is very easy, fill in the form and send it to office@grabenlos.at. Organizational questions should also be directed to office@grabenlos.at.